DM Endocrinology is next to DM Gastro and DM Cardiology on the whole as far as the preference of candidates is concerned. DM Endocrinology has reasonable number of Seats and moderately large number of MD Candidates seek selection in this branch of Medicine . New colleges are opening courses in DM Endocrinology and it is a paying branch. Nowadays Candidates after passing MD Medicine want to go for DM . From few years , The Examination is conducted as an Online Test with Questions specific to Endocrinology on various diverse and latest topics. The NEET DM Endocrinology examination is a standard Examination thoroughly checking the students knowledge base. Questions pertaining to Endocrine Glands with Basic Concepts of Physiology, Hormones, New and Latest Medical Concepts, Diagnostic capability of students, Management of Endocrine Crisis, Management of different conditions, Drugs used, Emergencies, Day to day problems, Patholological Concepts, Genetic concepts of Endocrine Diseases as well as Oncological Perspectives. It is important to know Physiology of Endocrine Glands, The newer Molecular Concepts ,Latest Genetic Concepts, Genetic Signaling Defects, HLA linkage, Latest Drugs, , Recent advances In Endocrinology with Disorders of excess as well as deficiency with minutest possible details are preferred land hot topics. One should be aware of All new Developments and Latest Treatment Protocols as well as New and developing drugs as well as pharmacology of Drugs. It is very difficult amidst time constraints to prepare for a vast Subject. Ideally all Standard Text should be Consulted. But MD students aspiring for DM hardly have time to programme their Studies in a nice manner due to time Constraints. 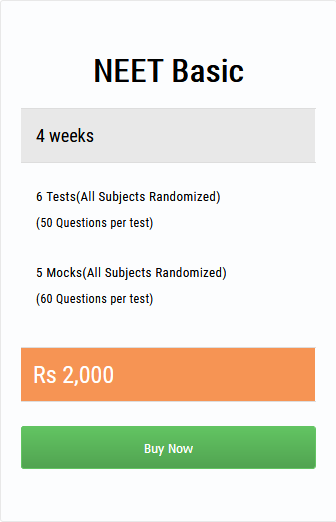 Medexams offers a good online source allowing students to prepare, practice and get acquainted with Examination pattern. Students taking Online courses have ordinarily far better results. Practicing MCQs is a good way to achieve Good rank. Medexams offer a compact and comprehensive online Programme with questions on different topics of the specialty. Questions include Preparation as well as Mock Tests . Student can test his/her performance graphically . Online coaching is one of the Best Modality Nowadays. It provides ease, comfort and Best time management and Dynamic Chance to Prepare. The trend is very rapidly growing. Medexams is the leading portal for Online NEET DM Specialties including NEET DM Endocrinology.